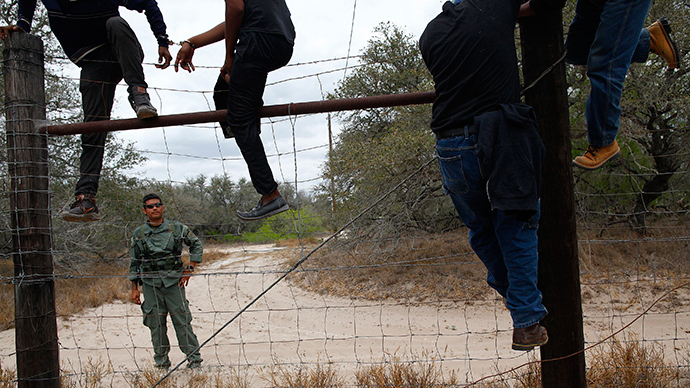 President Barack Obama wants to change a 2008 law that details how the US government deals with undocumented immigrant minors, in the hopes of speeding up deportations during an influx of illegal border crossings through the Rio Grande Valley. 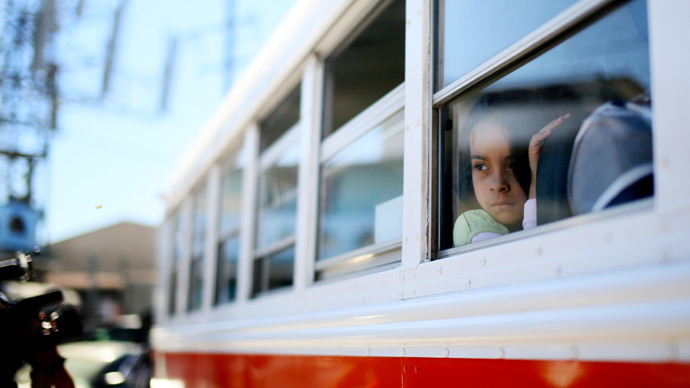 In the first half of 2014, more than 52,000 unaccompanied minors have crossed the Mexican border into the United States in southwest Texas. 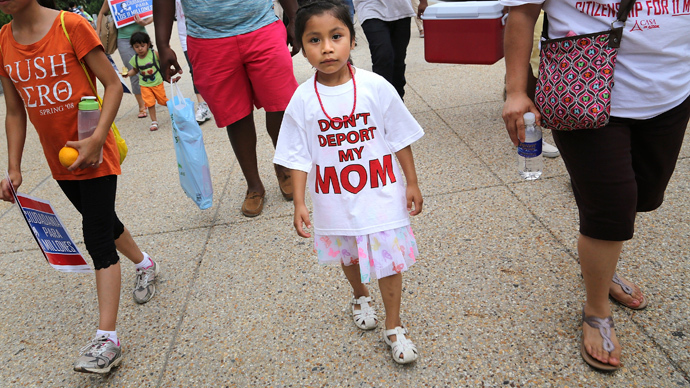 There has also been a sharp increase in mothers from Central America carrying their children across the border. Desperate Central American parents are exploiting the TVPRA loophole, knowing their children will remain in the US, according to ABC News. 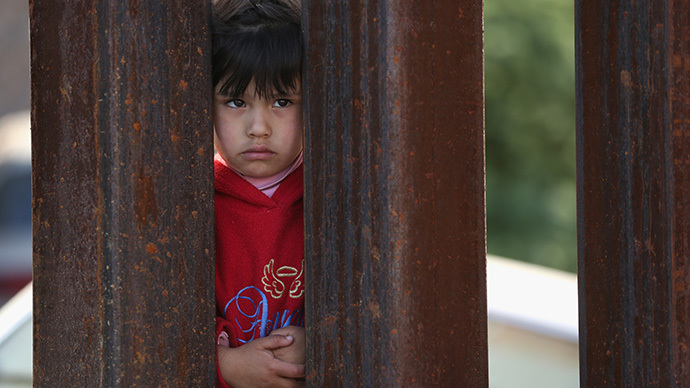 "[The 2008 law] probably is encouraging these children to come" as an “unintended consequence,” Marc Rosenblum, deputy director of the US Immigration Policy Program at the Migration Policy Institute, a nonpartisan think tank, said. 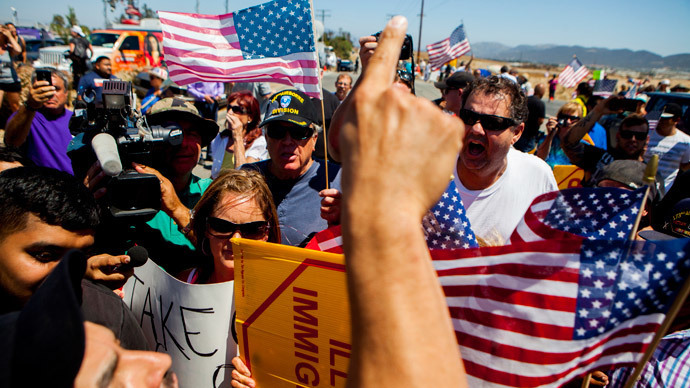 He spoke during a conference call of immigration experts organized by The Wilson Center, a nonpartisan research group. On Monday, Obama sent a letter to congressional leaders requesting vague changes to immigration policy and law, USA Today reported. On Wednesday, White House officials confirmed that the administration is seeking to change the TVPRA by asking Congress for permission to treat Central American children the same way they treat Mexican children. This change would allow them to process and deport the unaccompanied minors more quickly and begin to empty out the three federal temporary holding facilities spread across the southwest of the country. But immigration advocates say that change will be unfair to the children who have just completed a perilous journey and have little to no understanding of their choices that would allow them to remain in the country. Those choices include applying for asylum through “T Visas” for victims of human trafficking or “U Visas” for victims of certain crimes. Another option is to be claimed by US-based relatives. "For many years, there has been a recognition both by prior administrations and Congress that unaccompanied children are uniquely vulnerable," Wendy Young, president of Kids in Need of Defense, told USA Today. If those rules are changed, "children will be arriving at our borders, traumatized, hungry, frightened, confused… and certainly not knowledgeable about our immigration system." Changing the law could also save the US government millions of dollars, Rep. Henry Cuellar (D-Texas) told KGBT-TV. It costs about $500 a day to house undocumented immigrants in detention centers and as they overcrowd, 500 family units are released everyday in South Texas. "If you multiply that by 30 days you are talking about 15,000 individuals that will be released in the South Texas area that will be released in the month of July," Cuellar said. He is in favor of updating the law to a more pragmatic solution, allowing OTM women and children family units to be on the average of 25 flights a week taking adult OTMs back to Central America. "This doesn't have to be an 800 page piece of legislation, all we have to do is tweak the 2008 human trafficking law," Cuellar said. 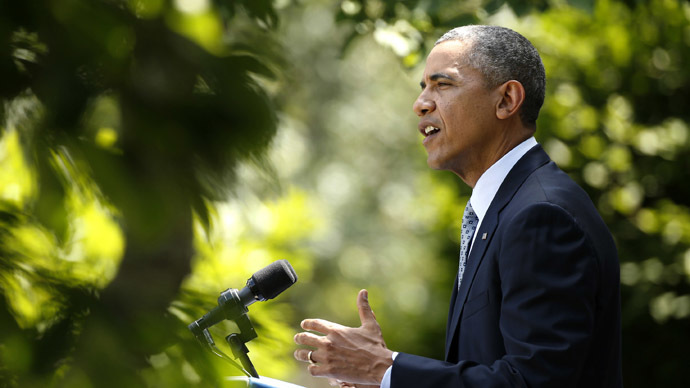 On Monday, the president gave a speech calling for Congress to pass comprehensive immigration reform. However, House leaders have said they do not intend to pass any such legislation in this election year. Obama said he has asked Attorney General Eric Holder and Secretary of Homeland Security Jeh Johnson to give him recommendations of potential executive actions he can take to deal with some aspects of immigration reform. "The only thing I can't do is stand by and do nothing while waiting for [House leaders] to get their act together," Obama said in his Rose Garden speech.